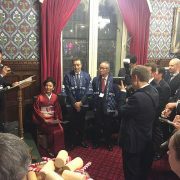 A reception to promote Fukushima sake was held at the Palace of Westminster, designed to also symbolise recovery from the March 2011 earthquake and tsunami. 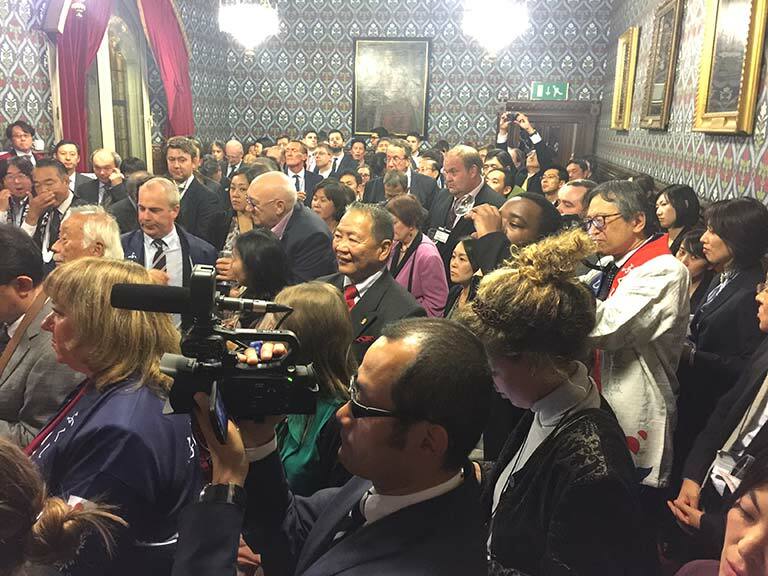 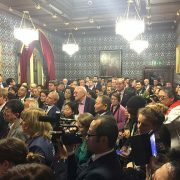 The British and Japanese Parliamentary Group hosted this meaningful event jointly with the Fukushima Local Government. 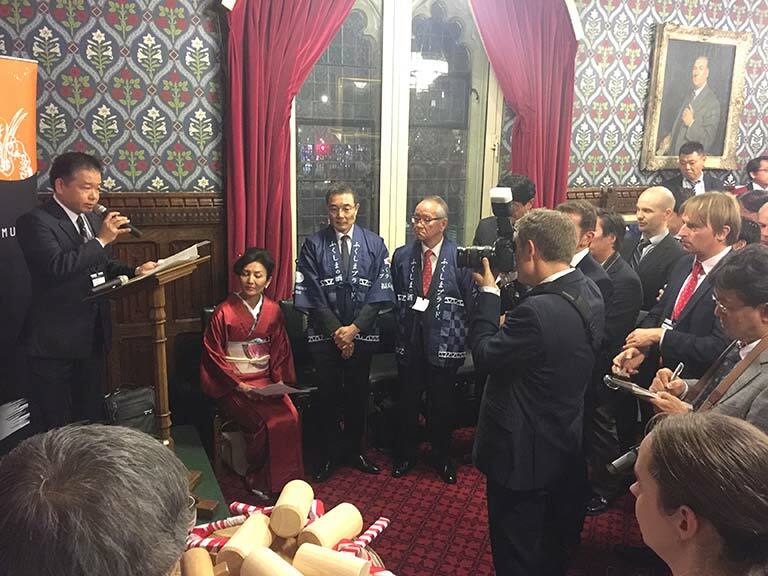 Mr. Yoshio Mitsuyama, the president of Fukushima Association worldwide and Rie Yoshitake, the representative of Sake Samurai UK worked together to organise the reception. 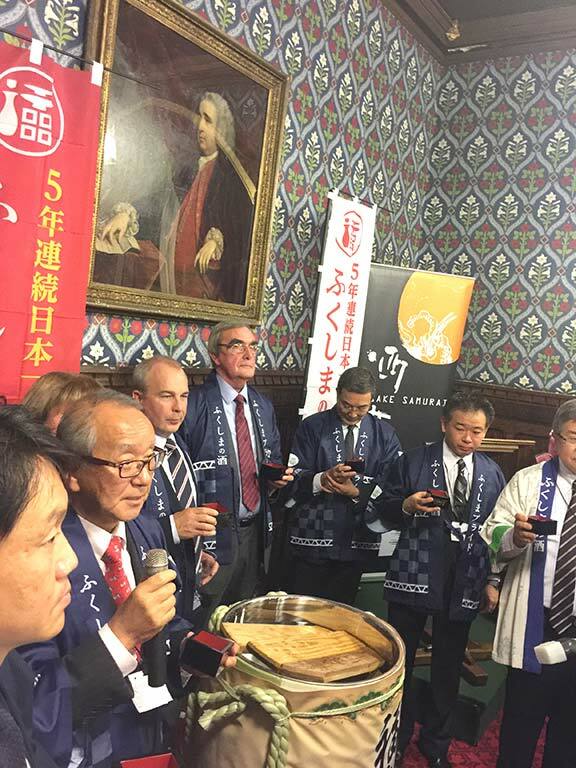 Six sake makers attended (Daishichi, Ninki, Okunomatsu, Homare, Yamatogawa and Suehiro) and served their iconic sake selections at each table. 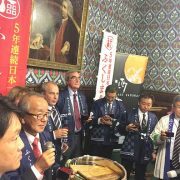 This year, Fukushima sake makers were praised for their 5th consecutive year as No1 Sake region for producing gold medal winning sake at the Japan Sake competition. 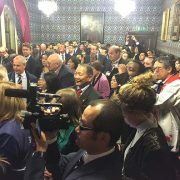 That is truly a great achievement despite the hardships they had to go through after the disaster. 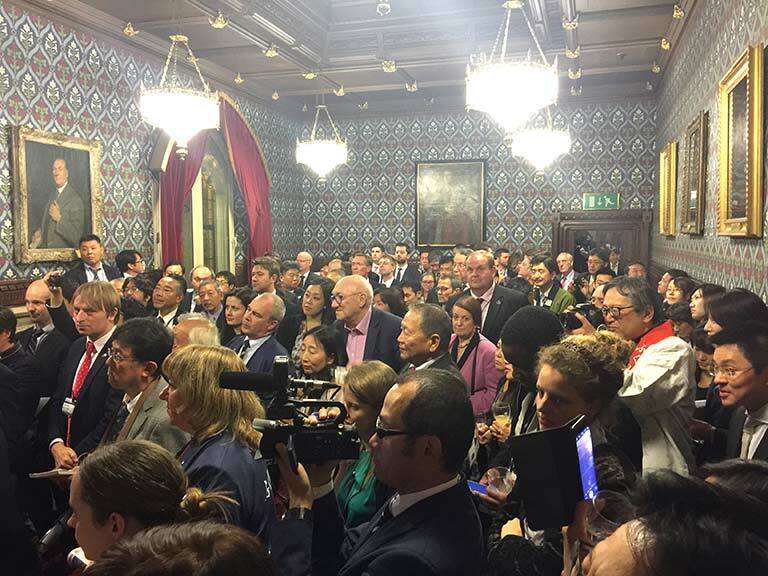 Over 100 guests were welcomed by the Fukushima delegate and enjoyed the conversation over exquisite taste of sake and Fukushima delicacies such as Iburigakko (pickles), peach, and sweets.